Hard Metal’s partnership with Iscar is the foundation on which the company continues to thrive. Our working relationship with Iscar’s unique product teams drives project-led activity throughout the Irish metal-cutting industry. Unrestricted access to world-class technical knowledge through our strong links with Iscar’s product managers allows us to bring the latest technology to market, and to maintain the brand’s leading status. Our annual technical and customer visits to Iscar’s inspiring campus allow us cultivate our unique bond with our Iscar colleagues, and allow our customers to experience advanced manufacturing and the innovative culture of Iscar. Company profile In 1952, Iscar was established in an old shack in Nahariya, northern Israel, where Stef Wertheimer set the groundwork for Iscar’s success. From this humble beginning, through hard work and a commitment to continued innovation, Iscar grew from a small family business into one of the world’s top two full-line suppliers of precision carbide metalworking tools. 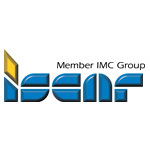 Iscar is the largest of the 15 companies that comprises the IMC group (International Metalworking Companies). IMC was bought by Berkshire Hathaway in 2006, which now enables the group to innovate & expand more aggressively. The IMC Group includes more than 130 subsidiaries operating in over 60 countries. Hard Metal’s long association with Iscar began in 1975. Iscar’s total commitment to R&D, creativity and innovation allows Hard Metal to continually upgrade our customers’ cutting tool technology and demonstrate greater efficiency and more cost-effective manufacturing procedures. Our knowledgeable technical sales staff support this activity through regular training and dedicated workshops at Iscar’s facilities.